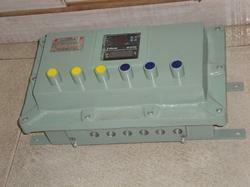 We are a leading Manufacturer of flameproof instrument boxes from Badlapur MIDC, India. Being in this domain for many years, we have been engrossed in offering a colossal array of Flameproof Instrument Boxes. This instrument box is manufactured and designed using quality tested raw materials and sophisticated techniques by capable professionals. Offered instrument boxes are widely used for protecting and keeping heat-sensitive instruments. Owing to its high durability and flawless finish, this instrument box is highly acclaimed among clients. This flameproof instrument boxes can be availed from us at market leading rates. Looking for Flameproof Instrument Boxes ?